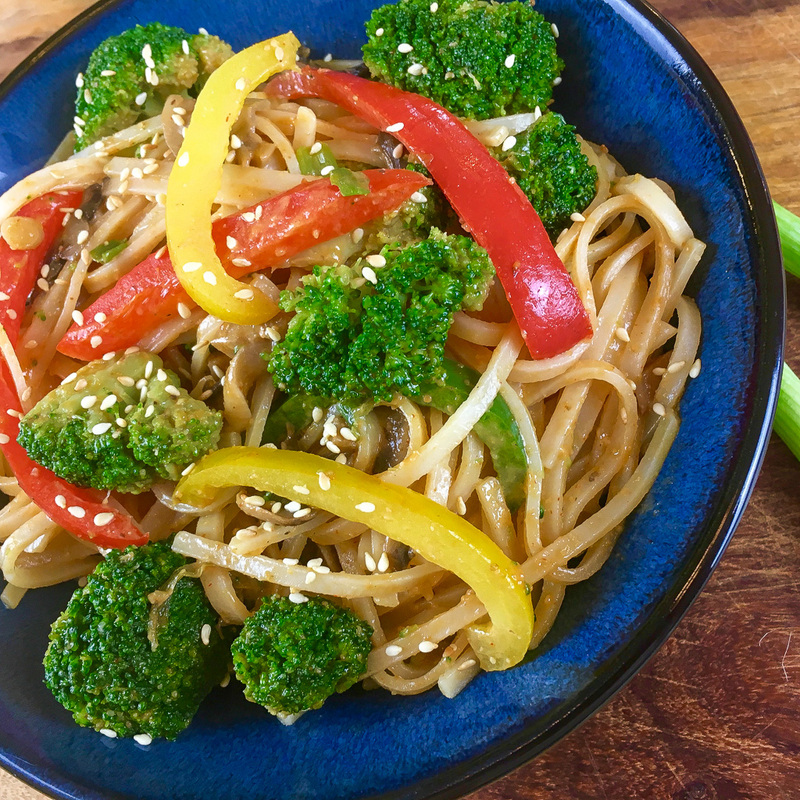 This recipe is perfect for those week nights when you need a quick and easy gluten free recipe. Not only is this a quick recipe but its a healthy choice as well and so yummy!! Even my kids ate every last bit!! Heat 2 tablespoons sesame oil over medium-high heat in a large frying pan or wok. Add vegetables and cook, stirring continually, for approximately 5-6 minutes, or until crisp tender. Remove wok from heat and set aside. In a medium bowl, whisk soy sauce, peanut butter, Sriracha and remaining sesame oil together until smooth. If the sauce is too thick, add a small amount of hot water to reach the desired consistency. Stir half the sauce into the noodles and half into the vegetables, and then toss everything together to combine. Serve immediately. 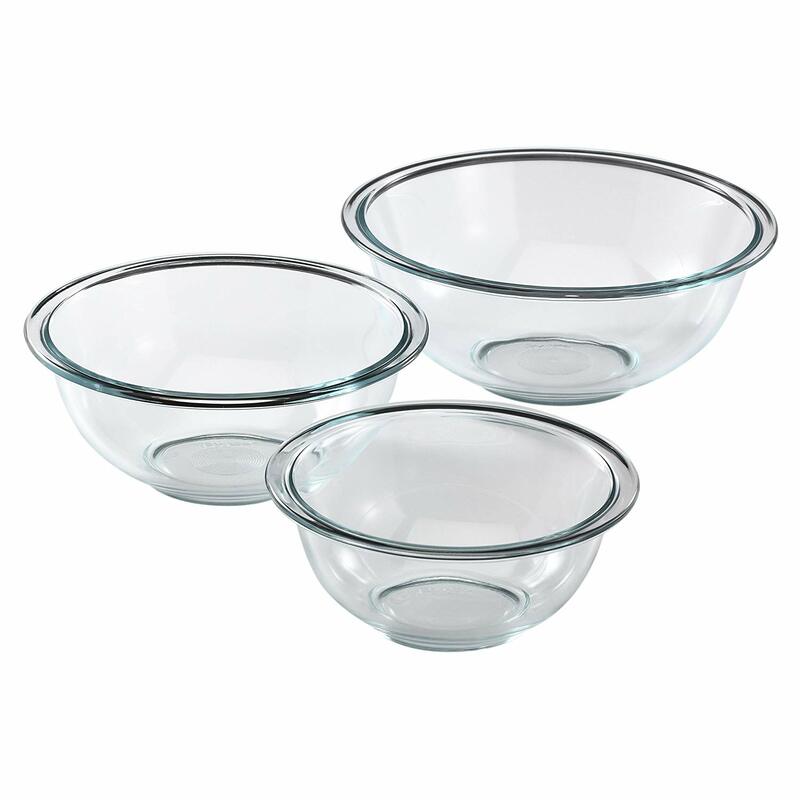 For a good set of mixing bowls you need a set of the Pyrex Mixing Bowls. They are perfect for mixing and many other applications. They are also not badly priced and come in a variety of different sizes. These mixing bowls are microwave and dishwasher safe as well. Click on the link and get some for your kitchen. When it comes it cookware you cannot go wrong with All-Clad. I have a whole bunch of there products and they are fantastic! 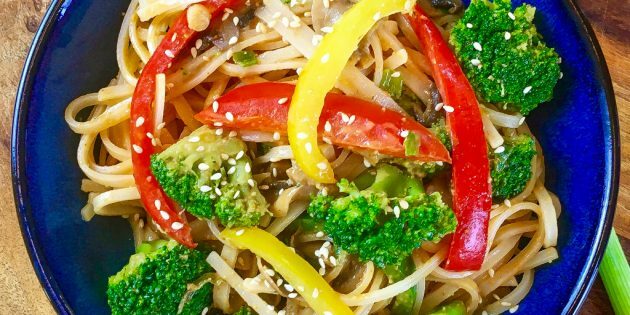 I used the All-Clad Wok for this recipe and it turn out amazing!! These pans are nonstick and scratch resistant to ensure that they will last you a long time!! Click on the link and get one for your kitchen! !